Walkthrough for exam of Transfiguration O.W.L. 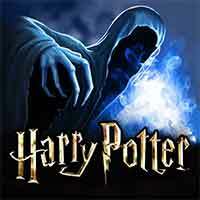 Answers Harry Potter Hogwarts Mystery – tests your ability to recall Transfiguration definitions and rules in this Ordinary Wizarding Levels (O.W.L.s) ! remember to revise and prepare with your friends before you do it, because the answer for each question is in there ! so get a good grade to decide for follow-up careers advice ! Which of the following is NOT a type of Transfiguration ? How many Principal Exceptions are there to Gamp’s Law of Elemental Transfiguration ? Which of the following would be the easiest Transfiguration ? Which best describes the effects of a Switching Spell ? Harry Potter Hogwarts Mystery Transfiguration O.W.L. Your score is in a subject will determine whether you will be allowed to continue on to N.E.W.T. level coursework. As some careers require certain marks in N.E.W.T. level classes, you can see why your O.W.L.s are important. Your future here at Hogwarts and post-graduation depends on them, so take them seriously!